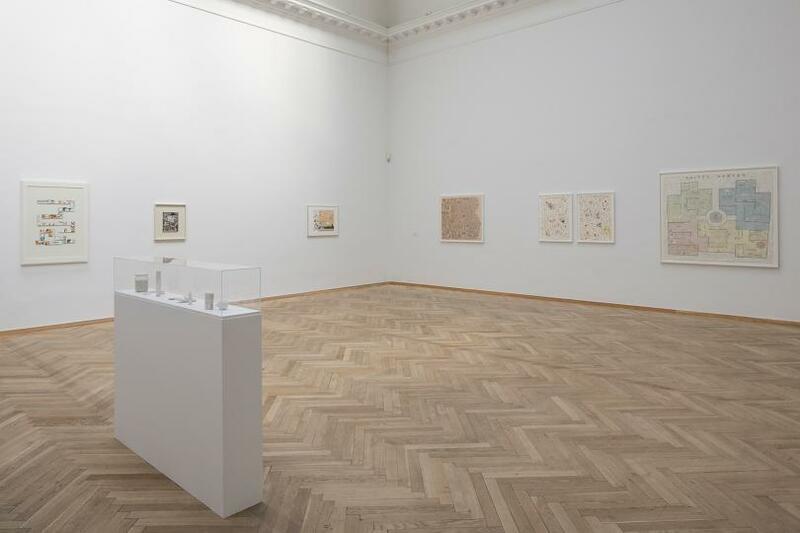 Charlottenborg present an exhibition of two artists of major significance for the present times, whose works, each in their different ways, treat cartography as visual material. 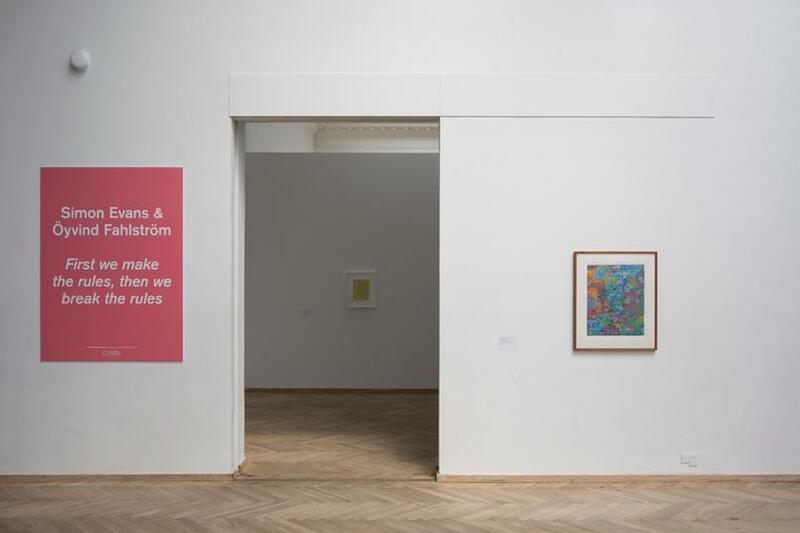 The exhibition entitled First we make the rules, then we break the rules, with works by Simon Evans and Öyvind Fahlström, is curated by Elodie Evers and Magdalena Holzhey from Kunsthalle Düsseldorf, and the exhibition at Kunsthal Charlottenborg has been augmented by an additional seven works. 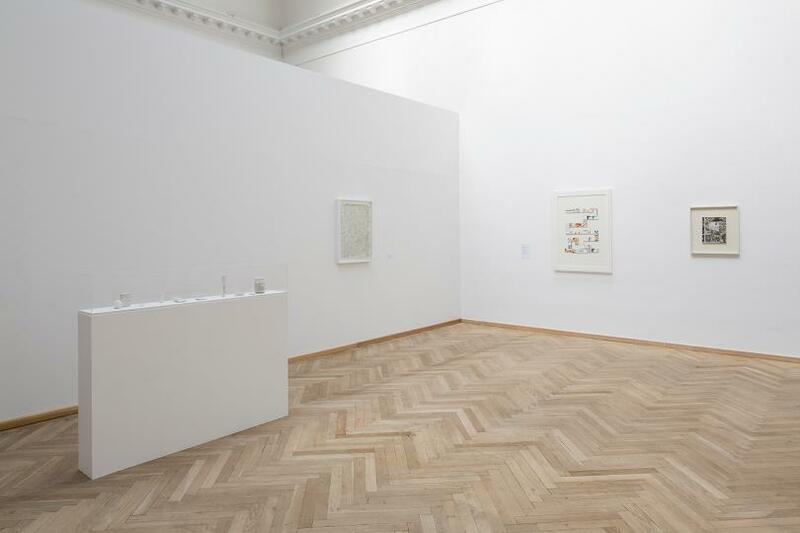 The exhibition consists of collages, prints, drawings, and sculptural objects. 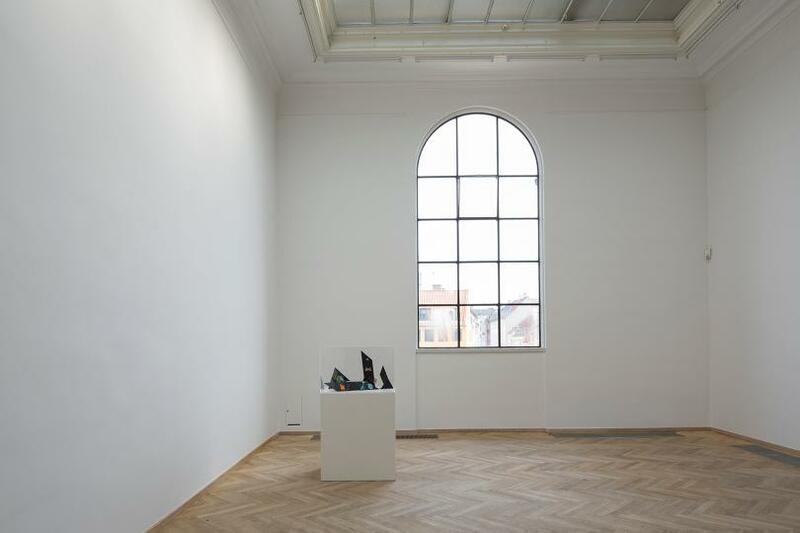 The Director of Kunsthal Charlottenborg, Jacob Fabricius, has said, ‘The artists we tend to remember are those who have created their own imagery, their own rules. 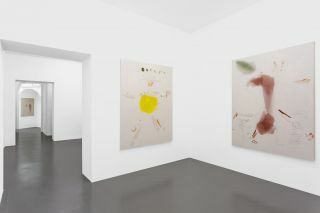 The two artists, Simon Evans and Öyvind Fahlström, represent two different generations and two unique positions from which to explore the mapping of the world. 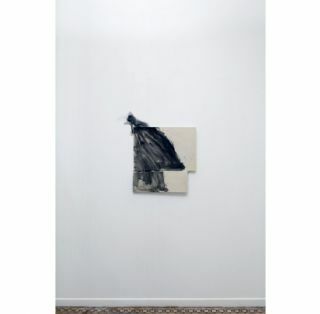 They have created figurative languages, which we recognise and remember.’ The exhibition title, First we make the rules, then we break the rules, refers to the work done by both artists on classification and structuring through maps and systems that are being built up at the same time as they are undermined, altered, and broken down. Öyvind Fahlström (1928-1976) is challenging his place in the category artist. 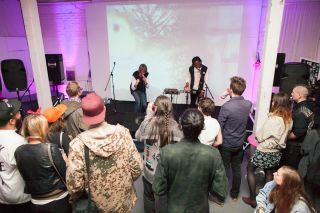 He is equal parts Pop- and conceptual artist. 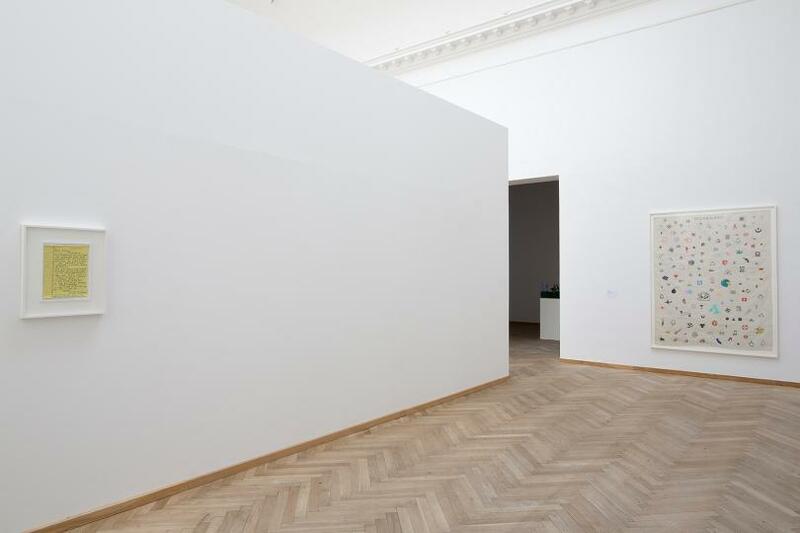 American professor and critic, Ralph Rubinstein, has said that Fahlström’s conceptual use of information tied in with a pop-cultural visual language and a global perspective, makes him particularly relevant for the younger generation of artists. Fahlström was born in Brazil, raised in Sweden, but his most significant works were created in New York. 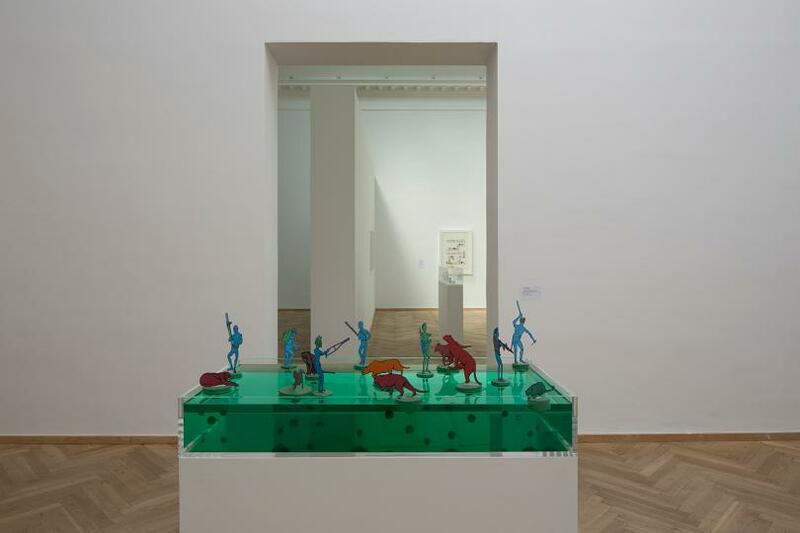 He made detailed drawings, prints, and sculptural objects that were formally based on the graphical universe of cartoons and which set out to explore and map the political situations of his time. 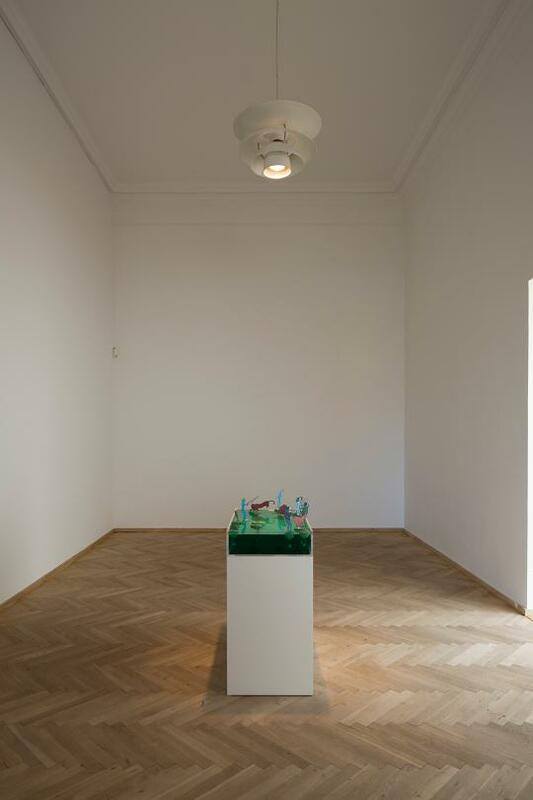 Fahlström is a truly globally oriented artist who established a global political critique of his time via his mappings and board games. In the work, Sketch for World Map Part 1 (Americas, Pacific) from 1972, he maps out how economy, labour, political deals, and weapon sales is a complex and intricate game, in which money and power decide the outcome. The map’s formal expression of convoluted and condensed information serves to underline the story presented by Fahlström: the world is too complex to be represented using objective maps. Fahlström usually treats specific political events such as the Vietnam War, the military coup in Chile, and the Cold War, but he strikes a note of humanity and poetry in his works, rendering them extremely relevant even today. 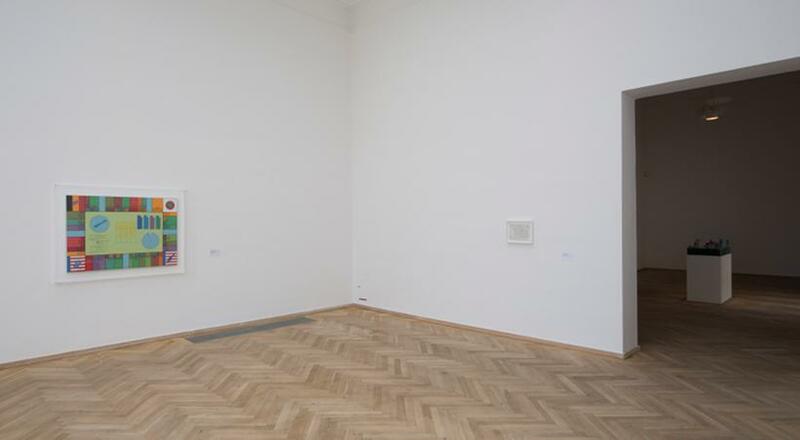 His use of the board game as an art form with game pieces, rules and breaking of the rules confirms Fahlström’s strength as a conceptual artist creating coherence between the work’s form, its statement, and the context in which it was created. Simon Evans (1972) takes his point of departure in his own life and the personal perspective, from which he creates meticulous collages consisting of written and drawn registrations and fragments from notebooks. 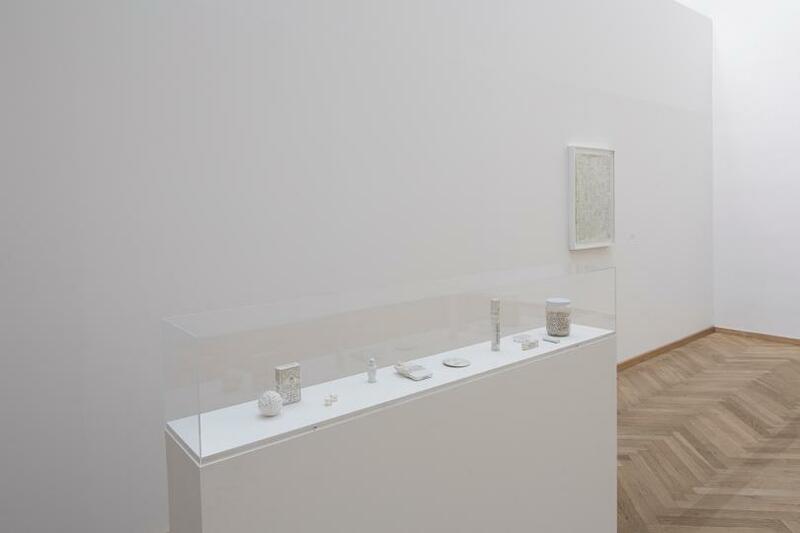 The artist assembles these fragments, drawings, words, receipts, serviettes, and other surplus material into maps of closely taped material whose surface is reminiscent of wax or skin. With his psycho-geographical maps, Evans tells several universally human stories about urban life in the Western world. This is evident, for example, in his work I ©‘s from 2012, in which he recreates the map of the Paris Métro, but where the names of the stations have been exchanged for countless declarations such as ‘I © crying over books and films’ and ‘I © democratic values’. 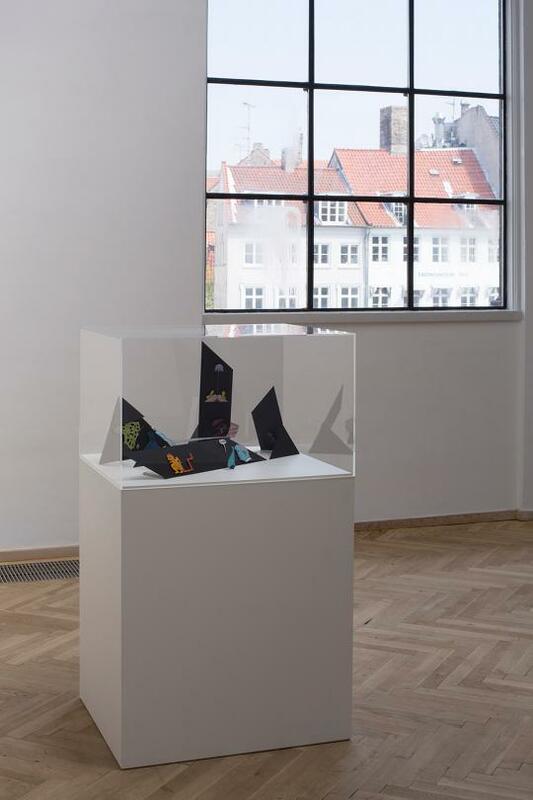 The statements are a personal story about the relationship between man and city, but they also point to a trite tourism culture, which tends to reduce the experience of a certain place to a series of slogans on T-shirts and coffee cups (I © NY, I © CPH etc.). In the collage, Life Garage Sales from 2010, Evans has collected drawings of a series of objects, which are presented side by side and whose written statements are linked to things, emotions, ideas, and qualities, which an individual typically gathers throughout a lifetime. The small work, How to get lost from 2012, is a direct reference to the art movement, situationism, and consists of two instructions in how it is possible for human beings to lose themselves in the city, illustrated by silver and golden foil from a cigarette pack and a sweet wrapping, respectively, glued to a print of the city of Düsseldorf from Google maps. Simon Evans was born and raised in England where he was formerly a professional skater. He now lives and works in New York.